This article is a special guest post by Dorian Bodnariuc who regularly blogs at coffee-brewing-methods.com. How do you prepare the beans to brew the best possible coffee? Should you use an espresso machine? Or maybe a manual drip method, like the Chemex? There are a lot of things to consider when choosing your brewing method, and we are not going to dive into all of them now. We’d rather focus on the humble coffee press to show you it is more versatile than you may think, and to help you decide which coffee press is right for you. Coffee Press is a generic term that covers a few brewing devices including the French Press and the AeroPress. 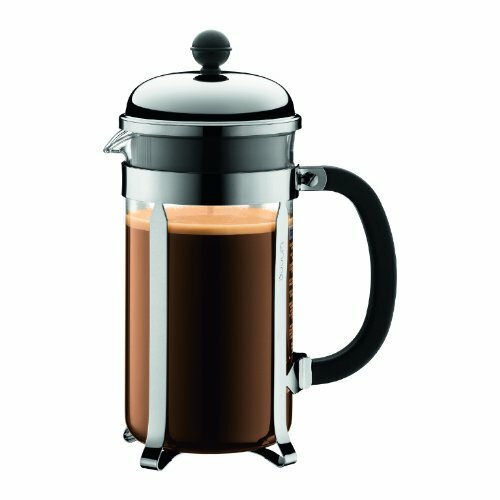 The French Press can be further categorized in insulated and non-insulated presses. Why does this matter? I’ll show you in a bit, just bear with me. Going back to our initial subject, which press is for you, the AeroPress or the French Press? The two devices are very similar at first glance, but once you try them, you will know otherwise. A cup of AeroPress coffee is much different than a French press cup. Depending on the method, the taste, the body, and the flavors extracted are completely different even if the coffee beans used are the same. Let’s explore the two coffee makers and see what makes them different, and how that translates to your cup. One of the most important differences is the volume of brewed coffee. An AeroPress has a total volume of about 10 oz, (300ml). The smallest French Press I have seen is a Bodum Brazil with a 12 oz capacity, but a French Press is a coffee maker for large families, and they go up to 2 quarts total volume. This positions the AeroPress in the espresso-like category, along with pump driven espresso machines and steam based espresso makers (including the Moka pot). On the other hand, the French press is meant to deliver a longer drink, even if it’s stronger than most other coffees. Pressure changes the taste of a coffee. It helps extract flavors that you cannot obtain with gravitation (drip), or immersion (French press) based coffee makers. Pressure is even more important from this perspective than volume. You can tweak your French press drink by adjusting the coffee grounds/water volume ratio; however, you cannot create pressure in a French press, and this gives you a totally different flavor profile. Filtering is another variable in the brewing process. A French Press uses a metallic screen filter. A screen filter has two disadvantages: it can allow fine grounds to slip into the filtered area (this is called sediment for all you coffee snobs). You can reduce the amount of fines by using a quality coffee grinder, or by using ground coffee sieves. Both methods are rather expensive, compared to the cost of the coffee maker. The AeroPress can use both a paper filter or a screen. This makes it a little more versatile as a coffee maker than the press pot. You can make a full-bodied cup using a screen filter, or you can make a cleaner cup by using the standard paper filter. The other big advantage of the AeroPress is that you don’t need an expensive grinder or sieves. Sure, if you own one, it’s perfect. The extraction will be uniform, and you won’t have over-extracted notes from the fines, and under-extraction flavors from the coarse bits. The grind size is quite different for the two coffee makers. On one hand, we have a coarse grind for the French Press, in order to compensate for the rudimentary filtering. On the other hand, we have a fine grind, close to espresso, required by AeroPress. The trick with both methods is to use an even grind. While AeroPress is slightly more forgiving with poor grinders, the French Press will suffer dramatically if the beans are not uniformly ground. You can’t get an even grind from an average grinder. Your blade grinder is out of the question if you want to make great coffee. You will need a good quality burr grinder for a decent coffee. If you don’t own a good coffee grinder, your best option is to buy pre-ground coffee or get a subscription and buy in small batches to ensure freshness. Store ground coffee is milled with commercial grinders that deliver a perfectly uniform size, and if you purchase your coffee directly from a roaster, you ensure the coffee didn’t spend months getting stale on the shelf. This is where AeroPress loses a lot of fans. 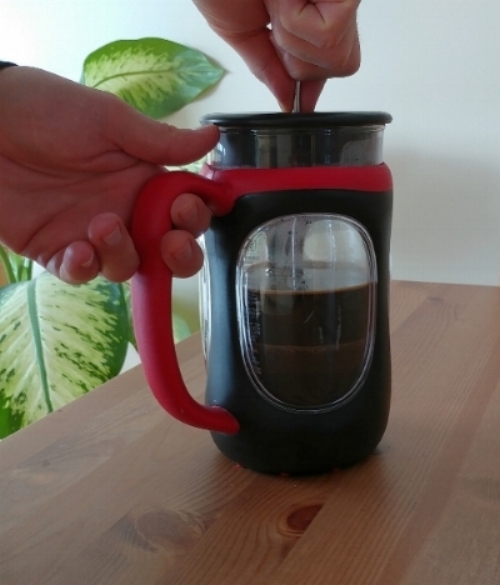 The AeroPress is made of plastic and this scares many away. The plastic is high quality, and according to safety tests it doesn’t leach into the brew; however some people just hate plastic, and scientific data won’t change their minds. It is capable of creating an impressive amount of pressure, some people use improvised levers to create more pressure. Other than that, the AeroPress is a sturdy device that will last you forever. On the other hand, a French Press is traditionally made of glass. Who doesn’t like glass? The glass though has a major disadvantage, it is very easy to break. You can break it during regular handling, such as washing, or moving on the shelf, or it can even break it during coffee making due to the thermal shock when pouring hot water into the room-temperature class. Newer designs use stainless steel instead of the glass. This makes the press very sturdy and resilient. The problem with steel is that it imparts a subtle metallic taste to your cup. Most people won’t notice it, but those with a delicate palate will. Taste is a very subjective matter, what tastes good for me might not taste good for you. I love AeroPress because I can tweak the fine details of my cup. For a step by step guide to making an AeroPress Coffee, check out this article. Coffee taste is hard to describe, because it is complex and extremely subjective; however, if we are to compare the two brewing methods, AeroPress comes as a more milder, rounded taste, whereas a French Press has more bitter notes, and is more rustic because of the sediment that will get into your cup. 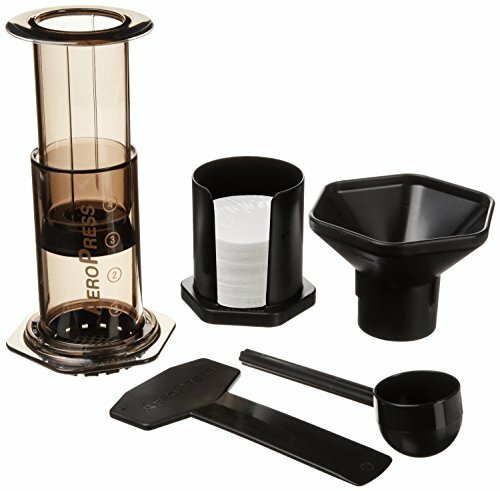 AeroPress is a cleaner cup with an ample body, similar to espresso. French press is renowned for its grittiness. I personally, don’t mind the sediment in my coffee, if the cup is exquisite, but many people will be put off by that. What is your "cup of coffee”?